went to the doctor’s. watched the agenda (partisan plays and political games; china’s influence in canada) and the shadow of gold (trailer; feature). watched the agenda (battling vaccine myths; the future of pharmacare), political blind date (the promise of multiculturalism], and city wildlife rescue. watched a doc about chinese-canadian farmers , My Farmland [intro]. susan to toronto, peter to karen’s. wear green, tho it helps you’re irish. Adria Kain, When Flowers Bloom. watched the blue realm (toxic invaders), the agenda (what animals think and feel), and 22.
watched the agenda (timmins: a town built on gold; a new kind of mining (mining relationships with first nations); the state of canadian mining) and northern gold. susan beat me at scrabble, paul ranted about muslims, and oscar slept. many noted it’s international women’s day. watched wild 24 (life on the equator). watched the nature of things (aging in the wild). listening to tom allen presents, which features artists such as wendy carlos. susan went to toronto with vivian and ken. in the meantime i sought easydns support. or at least i thought i did. watched arctic secrets (waiting for winter), 22, and political blind date (urban versus rural). watched nature but not nova, to watch part of the snc-lavelin hearings and also the case against trump. watched wild brazil (enduring the drought), the agenda (a historic health care restructuring; leaving afghanistan to the taliban? ), political blind date (taxes), and city wildlife rescue (episode nine). watched a movie about oscar wilde, ‘the happy prince‘. watched simon reeve’s sacred rivers (the nile) and joni mitchell live at the isle of wight festival, 1970.
listened to vinyl tap (bass). read about eggs: ‘today, only birds’ eggs are coloured and/or speckled. turtles, alligators, and other egg-layers lay white eggs, but they’re buried, unseen by egg-stealers. 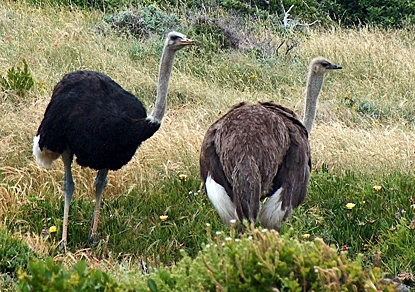 birds’ eggs are deposited above ground, … leaving them open to predation…. colouration is assumed to provide … some sort of camouflage.’ went to awenda, then grounded. watched the nature of things (laughing and crying). #100. 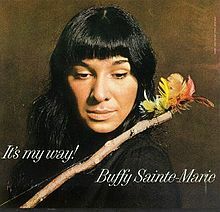 Buffy Sainte-Marie, It’s My Way! susan home! watched the agenda (two bright lights in canlit), queen victoria and her nine children (episode 3), and a bunch of shorts. susan went back to toronto, this time with vivian and ken during the day. that evening we waiched the agenda (the snc-lavalin controversy) and 22.
watched impossible engineering (panama canal refurbishment), nature (living volcanoes), nova (the next pompeii? ), and secrets of the dead (the nero files). bill came for lunch. susan went to a field nats meeting. saw sarah harmer (here interviewed in dan’s space van) in concert in barrie, saw fleetwood mac too, but on tv. susan took mary to starlab. our father would have been 74 today. we watched wild 24 (new zealand). we watched wild yellowstone (grizzly summer) and judi dench: my passion for trees. #116. Macy Gray, On How Life Is. home from west park for the long weekend for a trial run. #132. Shelby Lynne, I Am Shelby Lynne. i normally don’t go in for beatles covers, but this one is different. really different. played a close game of scrabble. my latest art., green circles. watched rmr, 22, and michael mosley vs the superbugs. pi day. strangely, it’s also Albert Einstein‘s birthday. reading about the russell–einstein manifesto, which led to the pugwash conferences. watched the shape of water. coffee at grounded. s went to a field nats meeting. when she came home, we watched videos about sleep, then we went to bed. susan and paula worked on the wye bean soup. watched planet earth II. susan at the wye marsh representing the field nats. played trivial pursuit. birthday brunch at the mint. watched the nature of things (the science of magic) and antiques uncovered with lucy worseley.